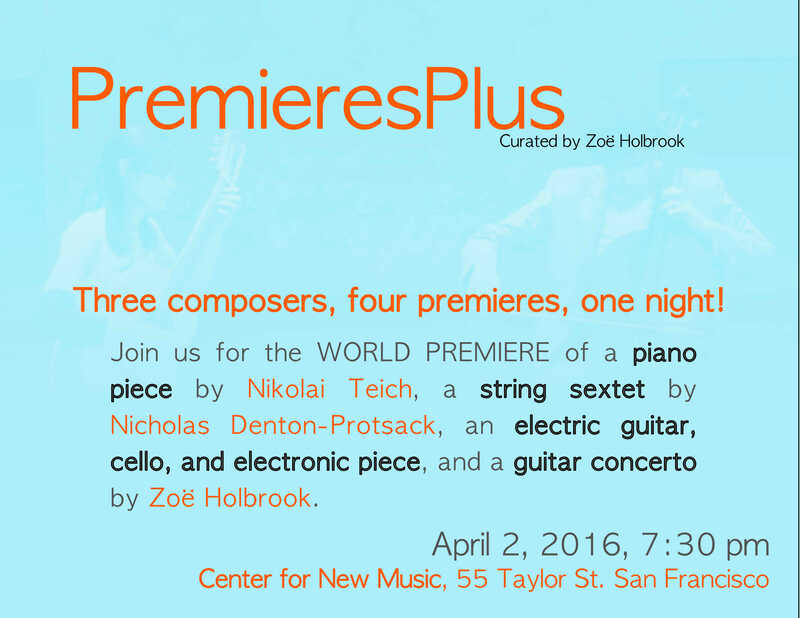 PremieresPlus is an eclectic mix of music featuring world premieres of a piano piece by Nikolai Teich, a string sextet by Nicholas Denton-Protsack, an electric guitar, cello and electronic piece by Zoë Holbrook, and a guitar concerto by Zoë Holbrook. Also featuring a brass trio and a classical guitar/cello duet by Nicholas Denton-Protsack and a solo classical guitar piece by Zoë Holbrook. All performers and composers are either students or alumni from the San Francisco Conservatory of Music.